The test consists of two domains; verbal and nonverbal. Each one of them includes a separate IQ. This test aims to assess the intelligence of autistic children away from the factor of expressive language through using tools that do not require expressive language. 1. Nonverbal Domain: It measures the visual conception and the ability to solve visual and spatial problems. 2. Verbal Domain: It measures the examinee's ability to recall the important information provided in form of words and sentences printed or spoken. •	Includes attractive tools for children with autism spectrum disorder. •	Can be administered easily. •	The test helps in determining whether the child suffers from cognitive deficit associated with autism spectrum disorder. •	Also the test helps in developing the treatment plan and analyzing progress. •	Standardized on the Arab environment. •	Advantaged with a high degree of validity and reliability. 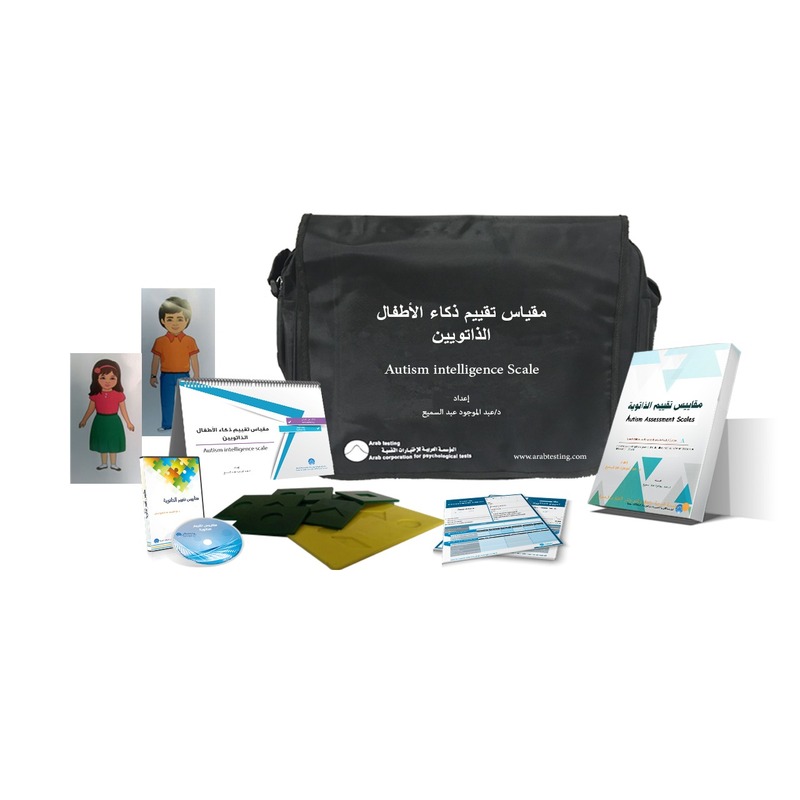 •	Provided with computerized scoring in both Arabic and English. •	Examiner's Guide. •	Practical Administration Book. •	25 Record Forms in both Arabic and English. •	Computerized scoring software. •	Kit includes test tools.